As I was driving through Woodinville last weekend, it struck me how many cars had filled up wine tasting room parking lots, and how many people were milling about having a good time on the outside patios. Spring has arrived in our amazing Wine Country! I was on my way to a client’s house and thinking about how to best prepare and stage it to sell, and couldn’t help but notice how beautiful wine barrels are when they’re potted with bright and cheery flowers. The wineries reminded me of a great way to add some Northwest character and color to your porch or patio! Since a variety of barrels are for sale at different times at different wineries, I suggest doing your research online – or ask when you’re tasting! 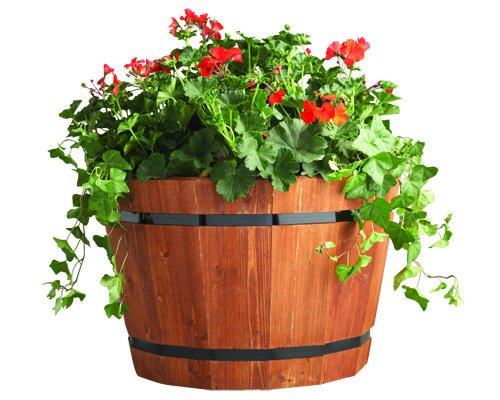 Then it’s super easy to turn a barrel into a planter. It’srecommended that you set it on bricks, to help with drainage, and remember to place it where you want it to stay before filling it up with soil, or it may be too heavy to move. Choose a sunny or shady spot, depending on what you like to grow. It’s a great time to plant! There’s power in a power wash, now that spring is here. It’s one of the first tips I give home sellers, as it’s an easy, relatively inexpensive way to make a home exterior sparkle and boost its curb appeal. 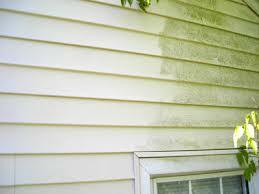 A power wash is like giving your home’s “outside” walls, plus its deck, patio, walkways and driveway, a shower to wash away the grime and dirt that collected on it over the winter. A power wash er attaches to an outside hose, causing the hose water to spray further and much more powerfully because it’s assisted by an electric or gas powered motor. It starts with selecting the right spray tip, and then carefully moving the power washer’s spray from left to right in a consistent manner. You can rent this wonderful cleaning machine, or buy one at a garden store like Home Depot or McLendons. Costco also sells power washers. I’d be happy to give you the name of a professional power washer too. 5 Power Washing Trade Secrets, written by the pros, sums up how to do the most effectiv e wash while avoiding plants and other house features that could be damaged by the powerful spray. It’s all about the angle, as the article describes. I’ve also learned that it’s just like any other home improvement project – the better I prep, the better job I do. You want to clear obstacles next to the house and furniture and pots on your deck or patio, and maybe even cover bushes and plants with plastic sheeting. It’s also best to cover attic and basement vents, exterior electrical outlets, and definitely make sure all your windows are closed! 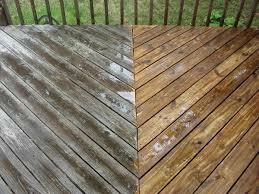 It’s amazing how a good power wash can make a house and especially its porch, deck and patio look like new. 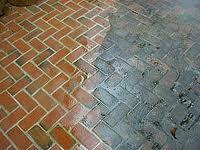 Now that the sun is out for a few days, it’s the perfect time to pull out the power washer! Have you noticed how your lawn has started growing like crazy? It’s one of the first things that people see when they drive by a house, which is why we talked about it as a “curb appeal” factor at the seminar I gave with Julie Allyne a couple weeks ago at Molbak’s. Even if a home is perfect inside, a poorly maintained lawn can give a bad first impression, and make it the only impression, as the saying goes. I like the w ay lawn care is described in a Home Depot blog just published. It said to think about it in the same way as caring for a small child. After waking up from its long winter nap, your lawn is hungry. It needs attention. And if it’s neglected too long, your lawn will get unruly and eventually go to seed. That’s why spring is the best time to fertilize lawns, especially since our wet winters can alter soil pH, compact the soil, and create conditions friendly to weeds and disease. Lawns need the extra nutrients from fertilizer to assure their healthy growth as they wake up. Experts say it’s a good idea to use a fertilizer mixture that also contains weed killer, to prevent crabgrass and other pesky grass weeds from also benefiting from the fertilizer and taking over. American homeowners take a great deal of pride in their yards, which is why, the Professional Lawn Care Association reports, we spend about $6.4 billion a year on lawn care. 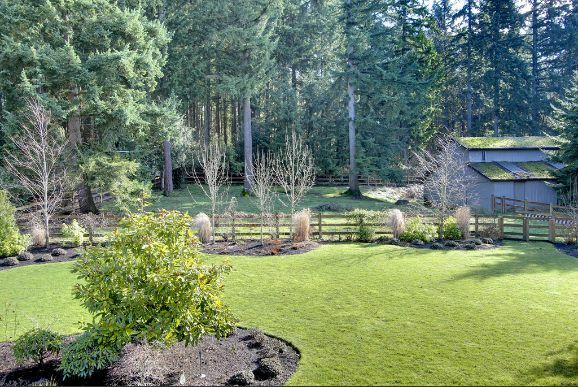 We love the sound of a humming lawn mower, green carpet to play in with bare feet, as well as at least a 5 percent property value increase that results from a great looking lawn, as various realtors report! 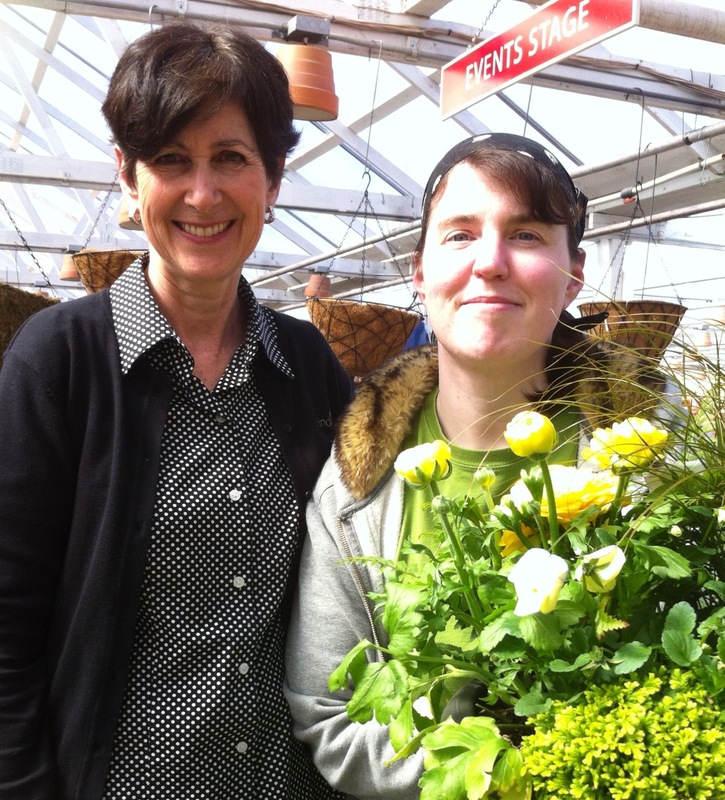 A bea utiful patio pot filled with spring flowers went home at the end of Julie’s Molbak’s seminar last Saturday with Anna Jensen, whose name was drawn from a basket full of contest entries. Thank you Anna, for entering the contest by clicking the “Like” to follow Julie’s Realtor facebook page! Julie offers up-to-date information about the real estate market, community events, and her listings on her business facebook page, and her website: juliebillett.com. More than 85 people filled the Molbak’s seminar area to hear Julie talk about “Quick and Easy Tips for Increasing your Home’s Curb Appeal & Resale Value.” She covered the five R’s: Remove, Rejuvenate, Replace, Repaint, and Repair. Her presentation gave “inside scoop” about what makes a difference in selling your home, which works for giving it a spring spruce up too. She talked about how your front door is the “eye of the home,” and how to make it more interesting, and how porches, shutters, outdoor lighting, and other exterior features also can add personality and “curb appeal” to your home. 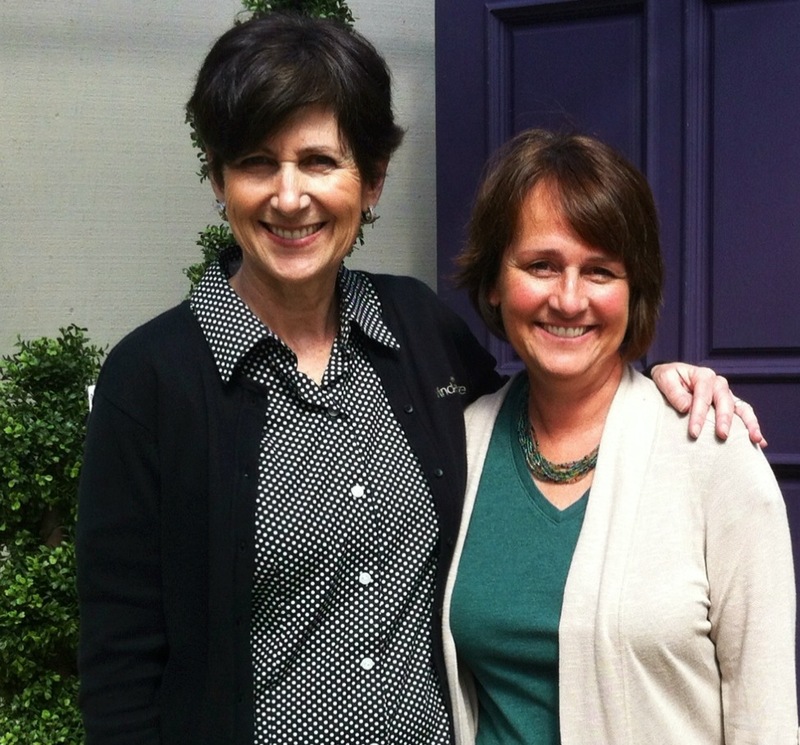 Co-presenter Julie Allyne, owner of Plantworks Unlimited, shared about how to give your yard and containters a spring lift. If you’re getting ready to sell, Julie welcomes offering specific tips that will give your home both the curb and interior appeal that turns lookers into buyers. First impressions make a difference, especially in this active real estate market! 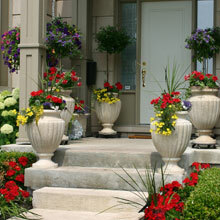 “Curb Appeal” Seminar by Julie – this Saturday at noon at Molbak’s! Whether you’re preparing to put your house on the market or spruce it up for spring and perhaps a big outdoor celebration, you won’t want to miss this opportunity to learn about How to Increase your Home’s Curb Appeal. Julie will share quick, easy, and economical tips to give your house a “spring” lift at a free seminar presented at Molbak’s this Saturday, March 30, from noon to 1pm. She will share do-it-yourself ideas for how to make the most of your home’s appearance, and will help you look at it with a fresh eye and offer pointers for turning your “spruce up” ideas into reality. Learn how to play up your home exterior’s best features, and where to invest your time and money to make the biggest impact. Julie will be joined by Landscape Designer Julie Allyne, owner of PlantWorks Unlimited, who will show how to give your yard and garden a fresh, new look this spring. At the end of the Julie “duo” presentation, a name will be drawn from all those who “Like” the Julie Billett Realtor facebook page, to receive a gift from Molbak’s. Kitchen updates rank among the most popular home improvements because they add two kinds of value – personal enjoyment and return on the investment when you sell. 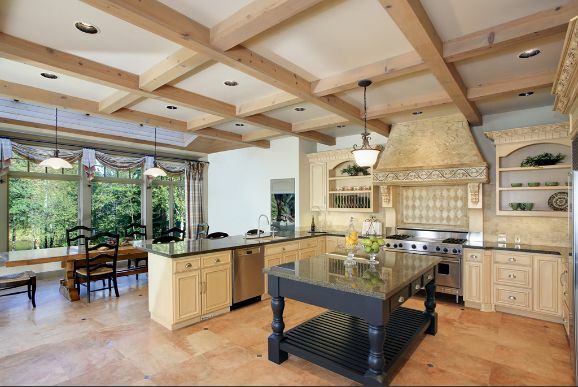 You can recoup as much as 80% — which is why Americans spend about $15 billion a year on kitchen renovations. This is a great time of year to tackle an upgrade project that fits your budget and improves your kitchen’s “hang out” quality. While upgrading appliances is the #1 kitchen renovation, you can also add beauty, functionality and selling appeal by painting, and replacing light fixtures and cabinet handles. Decluttering is another low budget way to update your kitchen. One of t he trendy kitchen upgrades is a built-in coffee center. It can be designed to save valuable counter space, or hidden behind a cabinet door. According to an article about Must-Have Kitchen Trends for 2013, stylish sinks are also trending for kitchen remodels this year. Stainless sinks are top on the list for their durability and flexibility. If you’re considering a project and interested in the value it will add to your home, I’d be happy to discuss it. 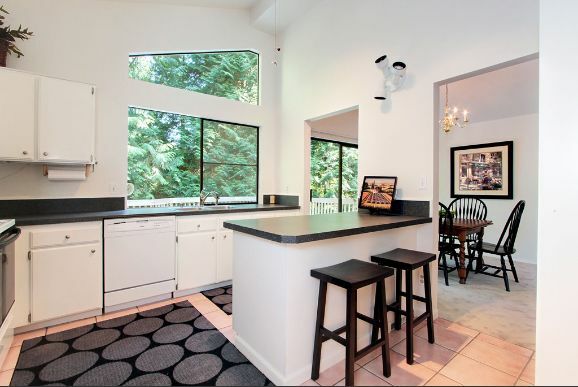 It’s great to do a remodel that you can enjoy and reap the benefits of when you sell! While the rest of the country thinks that it rains here all the time, we do get cold in the winter and hot in the summer. I can tell that it’s winter now because my heat is running all the time! For eight months of the year in our rainy city, our low temperatures don’t get out of the 40s at night. So now is a great time to evaluate how we’re doing at keeping our homes warm on a budget. As Puget Sound Energy says, it’s all about improving your home’s energy efficiency. There’s a long list of things we can do to keep warm air in and cold air out, and most energy-saving moves are inexpensive when compared to how quickly they pay for themselves. 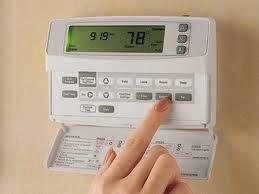 Saving home energy can be as simple as turning down your thermostat when you leav e the house. Another way to cut your heating bill may be to add insulation in your attic. Most houses in our area have insulation levels specified by R-Value. R-Value is a measure of insulation's ability to resist heat flow. The higher the R-Value, the better the thermal performance of the insulation. 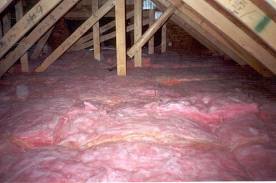 The recommended level for most attics is to insulate to R-38 or about 10 to 14 inches, depending on insulation type. Keeping your house energy-efficient is one more way you’re also keeping it market ready. If you’d like to learn other ways to stay on the “market ready” track, please call. I’m happy to help you prepare for your future real estate needs! 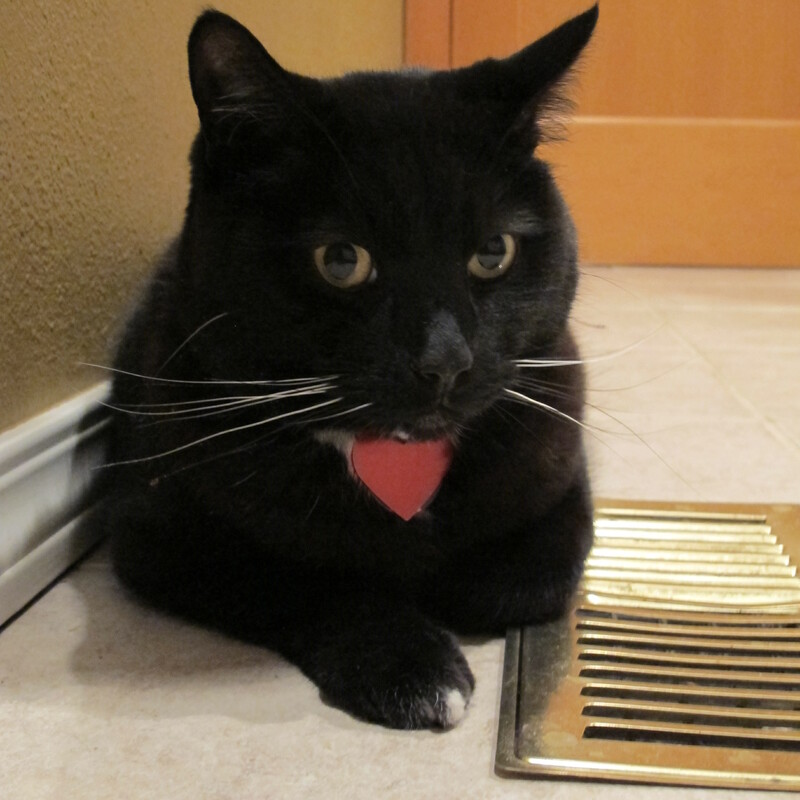 On a cold night, who doesn’t love to curl up in front of a warm fireplace? Having the fireplace glow is especially nice at the holidays. But before starting a fire in a woodburning or a gas fireplace, it’s important to do a safety check each year. 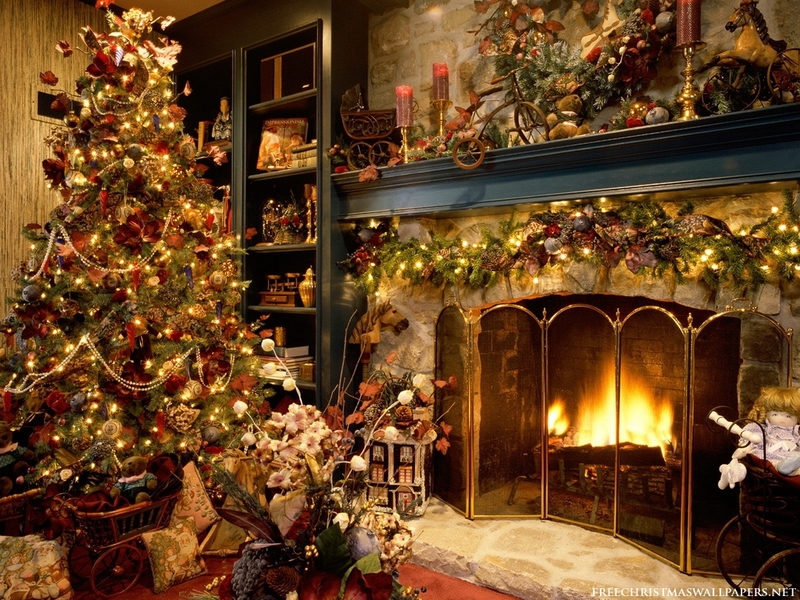 According to the U.S. Consumer Products Safety Commission, the chimney or fireplace is the No. 1 cause of residential fires, with more than 25,000 a year. An inspection by a certified chimney sweep is recommended annually if your fireplace has heavy use, and every five years if it’s only used occasionally. The sweep will check for proper operation of the damper and for cracks in the flue liner, and sweep the flue to remove creosote and other combustion byproducts. Inbetween inspections, you can check your chimney by opening the damper and looking up. If you can't see daylight, don't light a fire until you have a professional look at it. It's either blocked or the damper isn't operating correctly. By holding a light up into the chimney, you should also be able to see how much creosote (a product of burning wood that is deposited in chimneys and can build up to become a fire risk) is accumulating. Also check the condition of the chimney interior (look for crumbling bricks). If anything looks out of place, call in a professional before lighting a fire. Check that your chimney is clear of any nests from birds, squirrels or other animals. Make sure that it has a cap to keep little critters from making their winter home in your flue. Test that the flue damper opens and closes fully, and locks in both open and closed position. If you have a natural gas or propane fireplace and the flame goes out, wait at least five minutes before attempting to relight the fireplace. This allows time to clear the fireplace of gas. 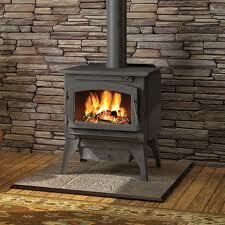 Be alert for unusual odors or odd-colored flames, which are often a sign that the fireplace is not operating properly. Contact the gas company if you smell gas when the unit is off. Enjoy the warmth and ambiance of your safe fireplace! It's great to have our college kids home…the house feels back to normal! Sam got off the plane and Hannah pulled in the driveway and once again we are all together under one roof. The kids say they are exhausted from finals, but somehow they have this amazing energy to get ready for Christmas. Good thing because our cat Charlie knocked our Christmas tree down — I could hardly believe it! Now we get to decorate it again, but this time as a family. Does Charlie look like he just toppled an 8-foot decorated Christmas tree?! If you haven’t already done it, now is the perfect time. With the shortest day of the year almost here, you'll be glad you made the switch to brighten your home with the most energy-efficient light bulbs you can buy. Puget Sound Energy (PSE) is even offering customers instant discounts on a variety of LED (light emitting diode) bulbs at participating retailers, including Best Buy, Fred Meyer, McLendon’s, Lowe’s and Home Depot. 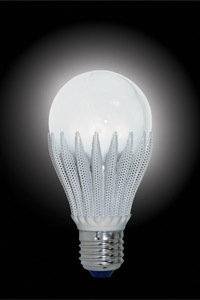 LED bulbs use 80% less energy than an incandescent bulb, while producing the same quality and brightness of light. Plus they have an average life span of up to 25,000 hours or up to 25 years, as compared to the 1,000 hours of light we’re used to getting from incandescent bulbs. This significant energy savings is reflected in your energy bill as well. The average household can save $150 a year on its energy bill by replacing the 25 most frequently used lights in the home with LED bulbs, according to PSE. Most LED bulbs are dimmable too, making them great for your kitchen and dining room or where ever you want to add some atmosphere. There’s no doubt a well-lit house has the welcome mat out – which is another great reason to switch out your bulbs before the holidays! Go to PSE.com/LEDs for more information about LED lighting. As always, I welcome the opportunity to serve you, your friends and your associates, and can be reached at 206-819-0685 if you’d like to talk about local real estate!